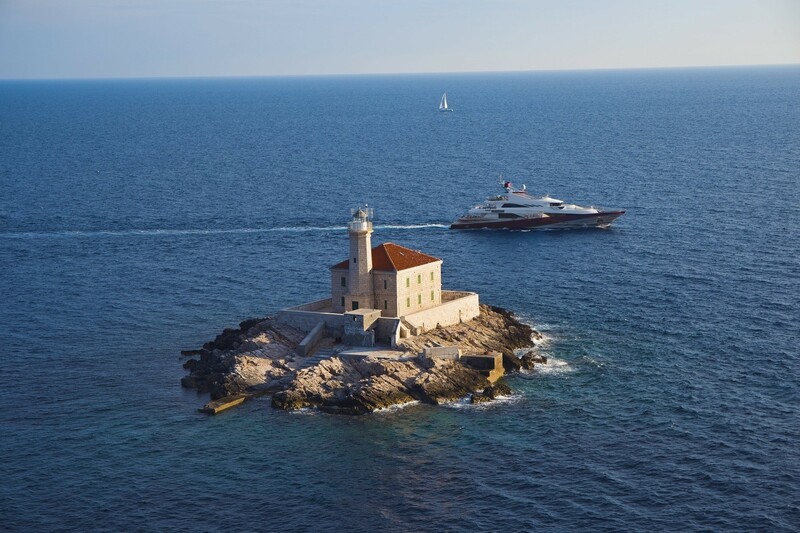 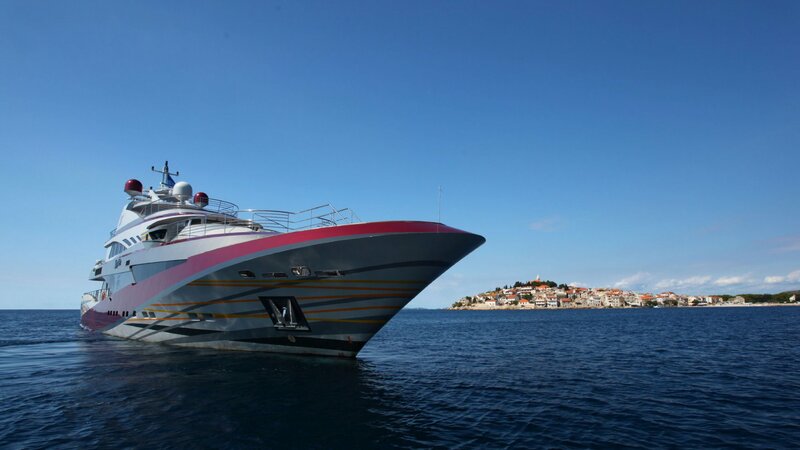 The 49.91m luxury motor yacht Joy Me is a stunning tri-deck displacement vessel built in Croatia by Philip Zepter Yachts and launched in 2011. 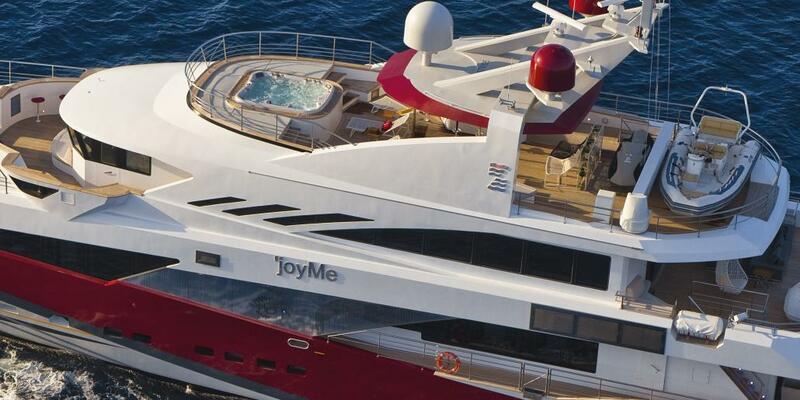 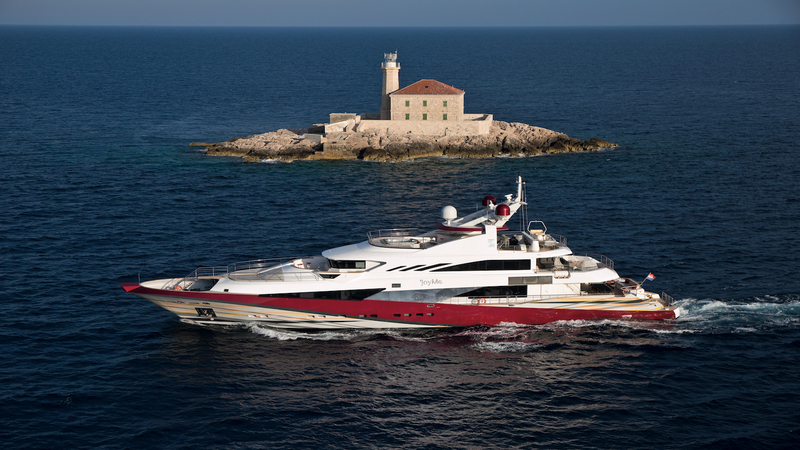 Joy Me superyacht features unique exterior styling and interior design developed by the Standby studio under Marijana Radovic's leadership while her naval architecture is by Mijo Radunovic. 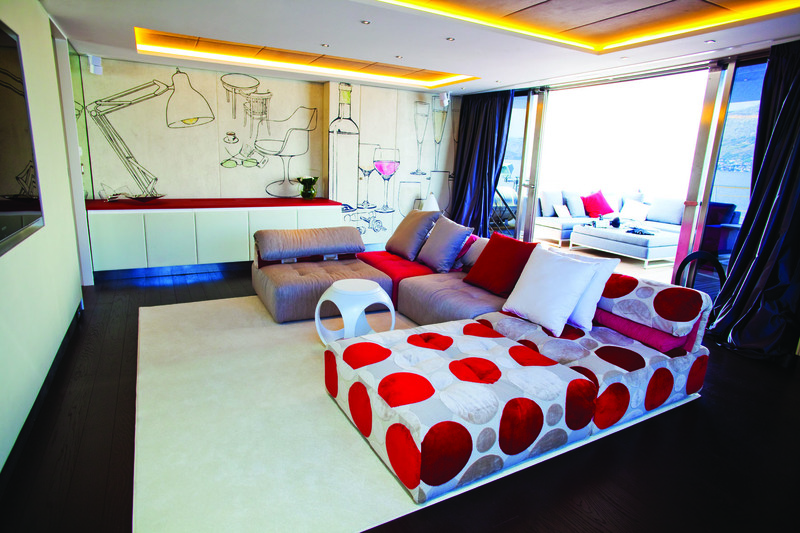 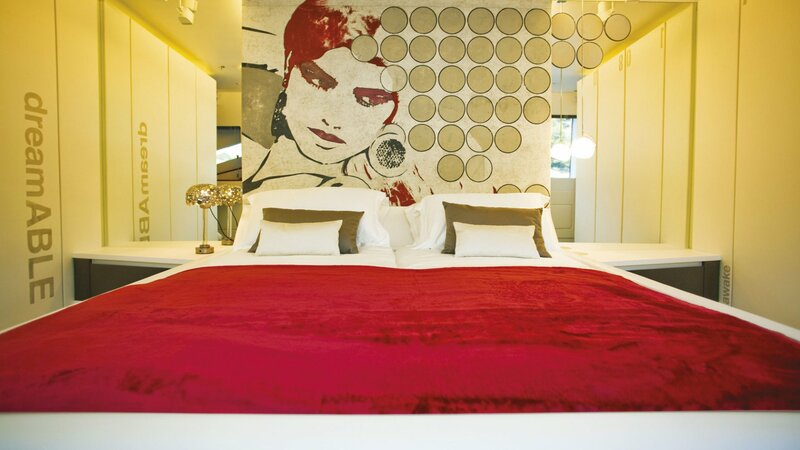 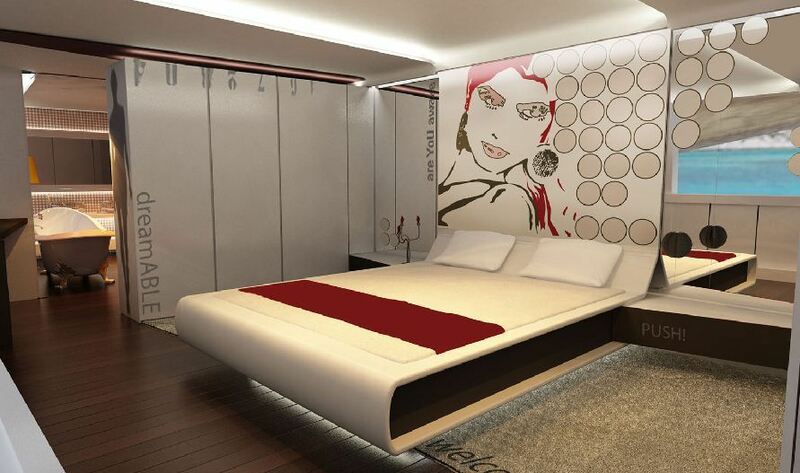 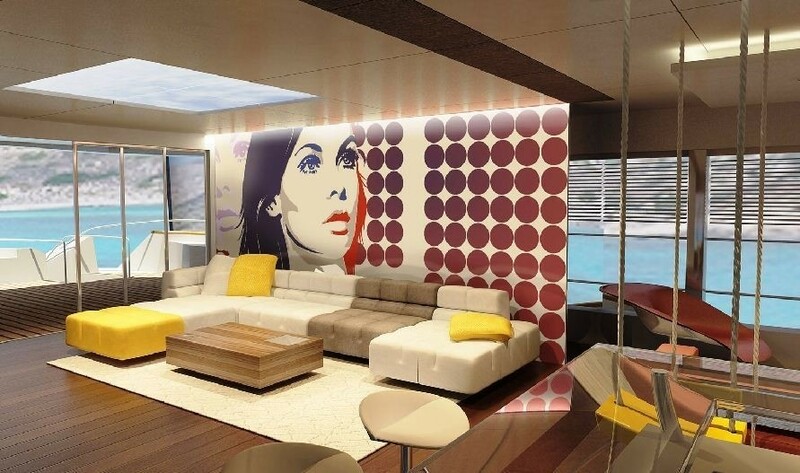 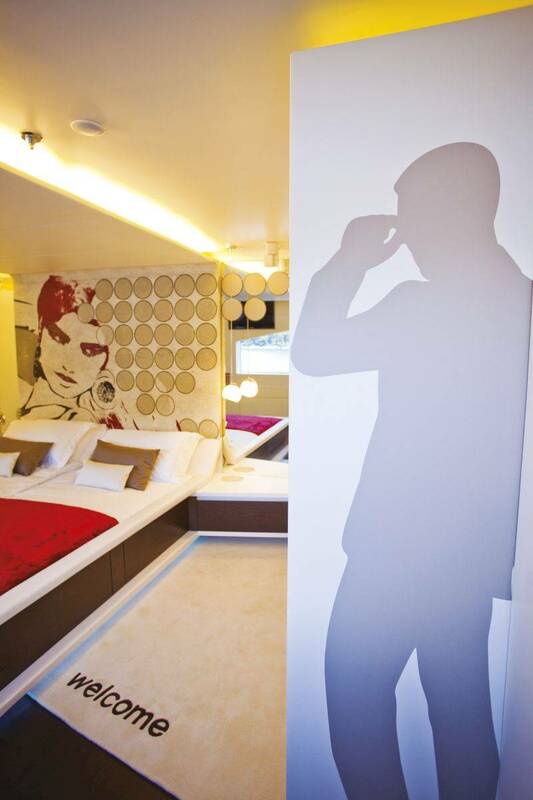 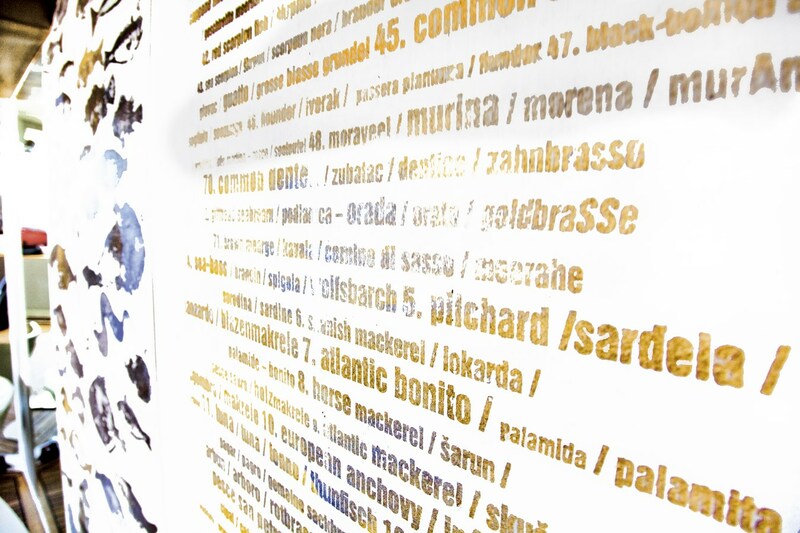 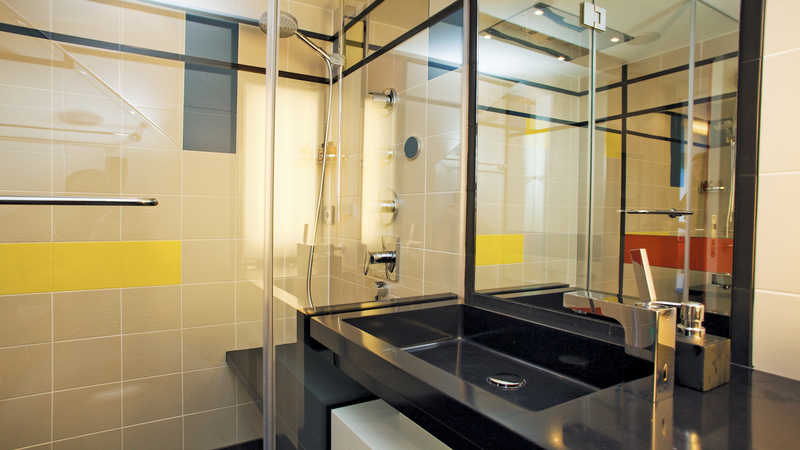 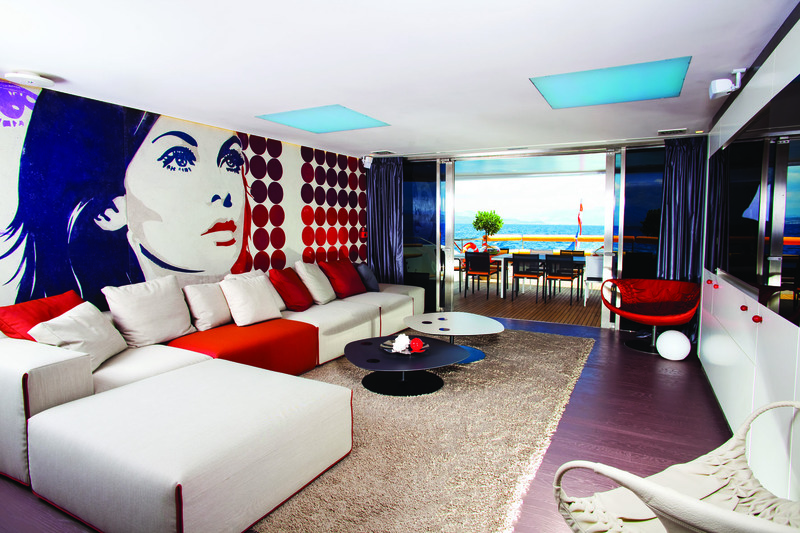 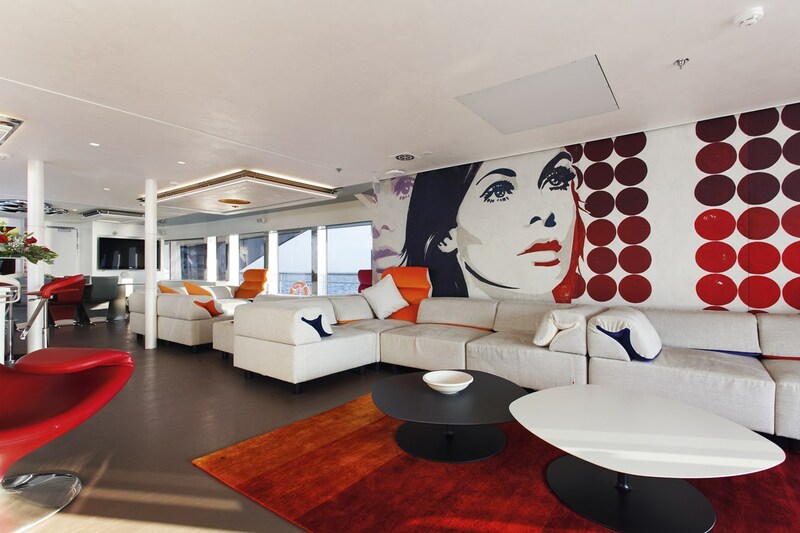 Designed by Marjana Radovic interior has a vibrant decor, pop-art inspired and of ultimate quality. 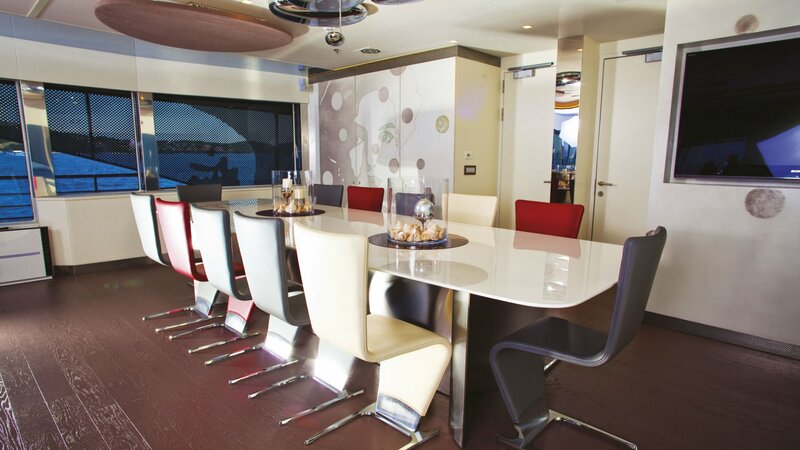 The main salon is great for dining and lounging. 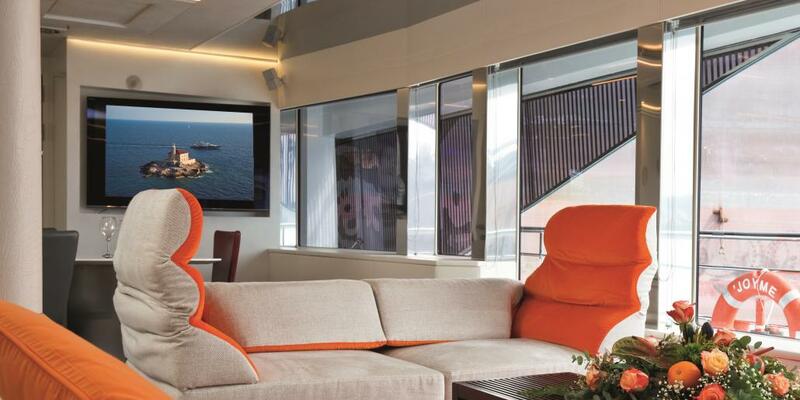 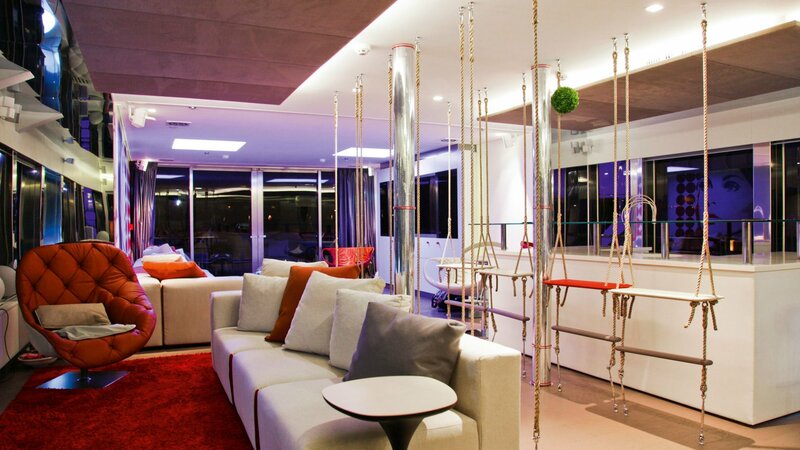 The skylounge features ample seating and entertainment system. 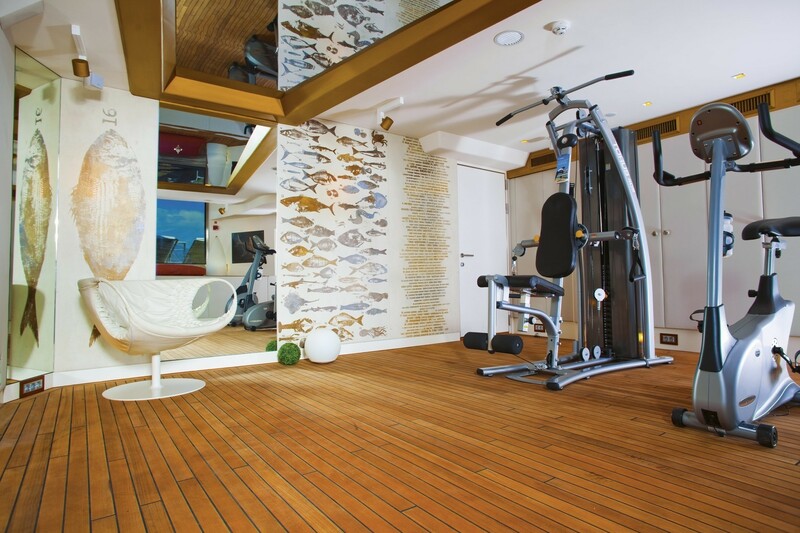 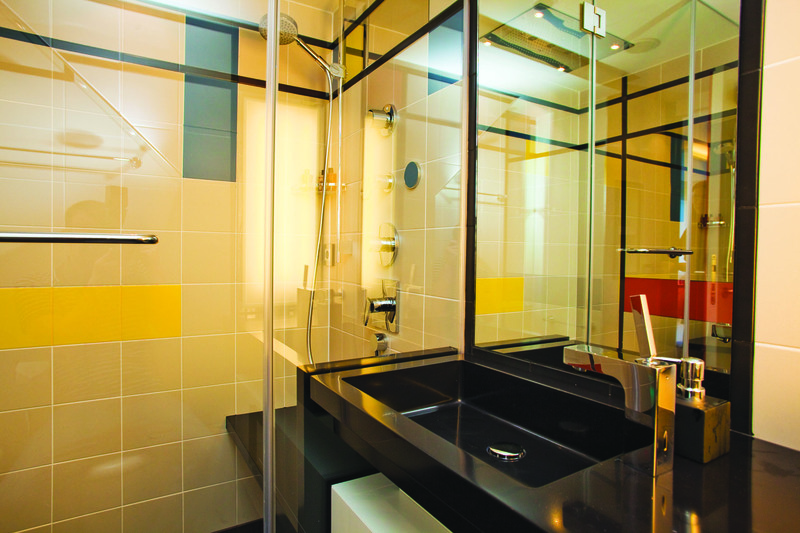 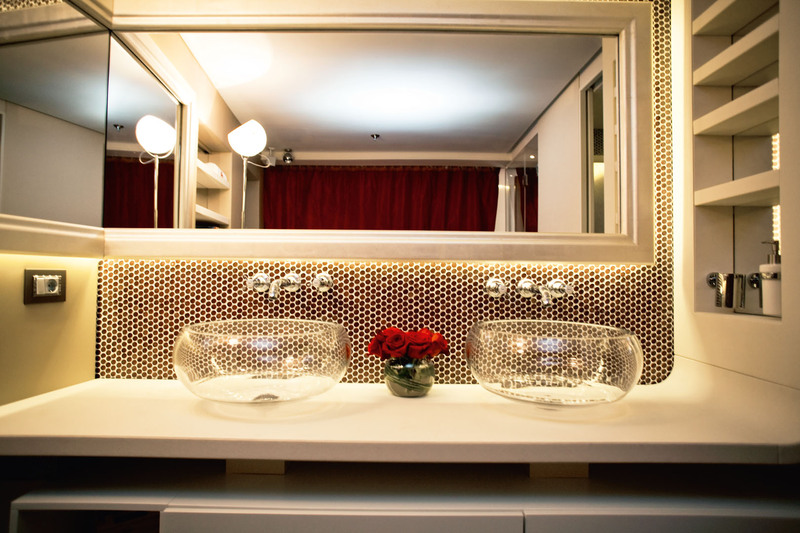 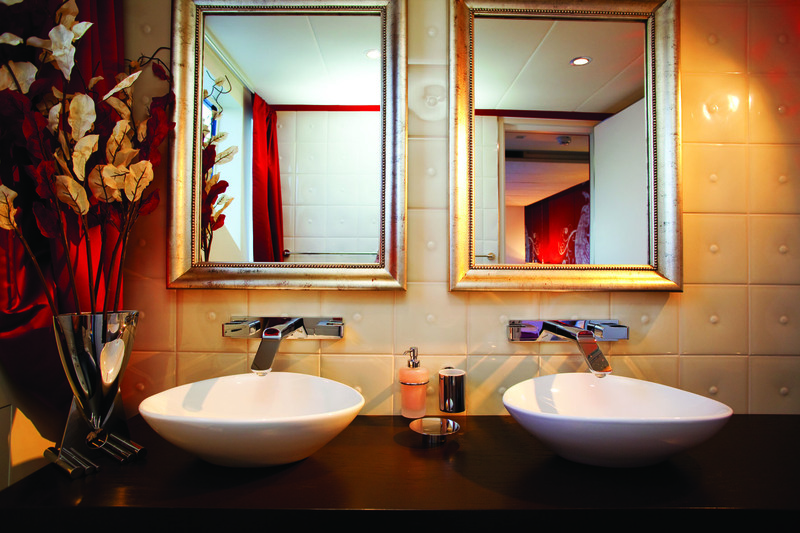 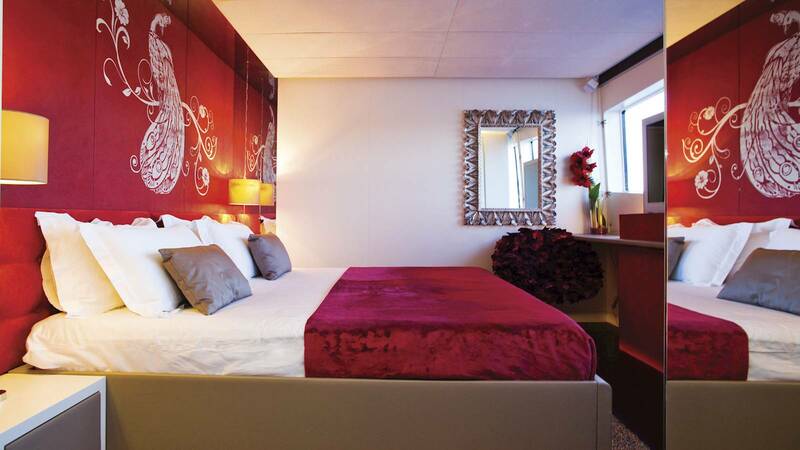 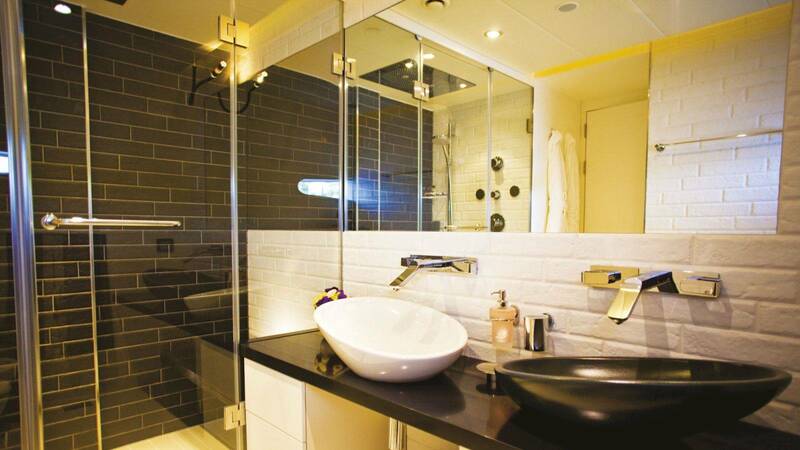 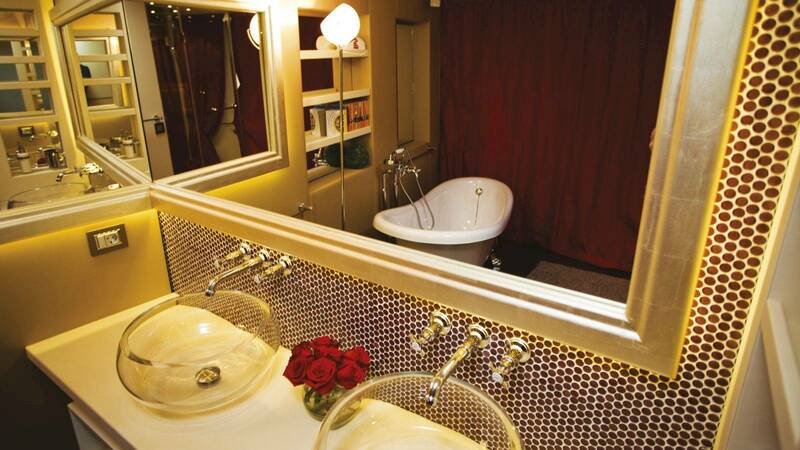 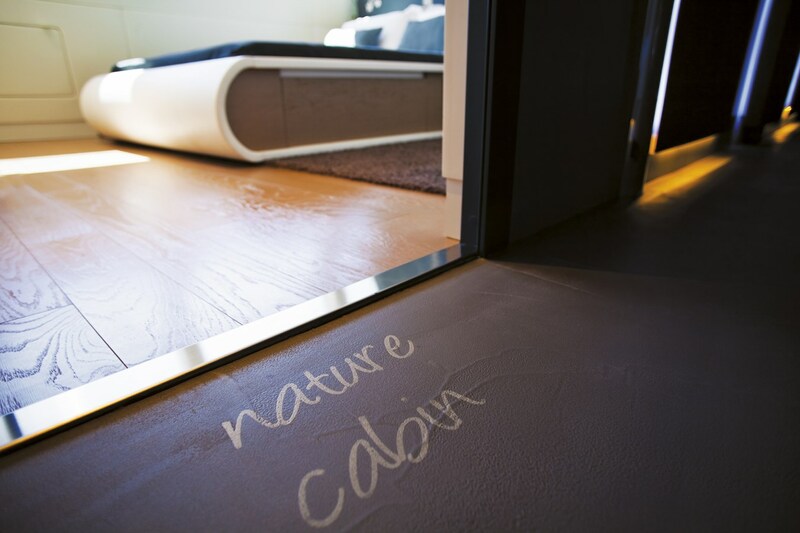 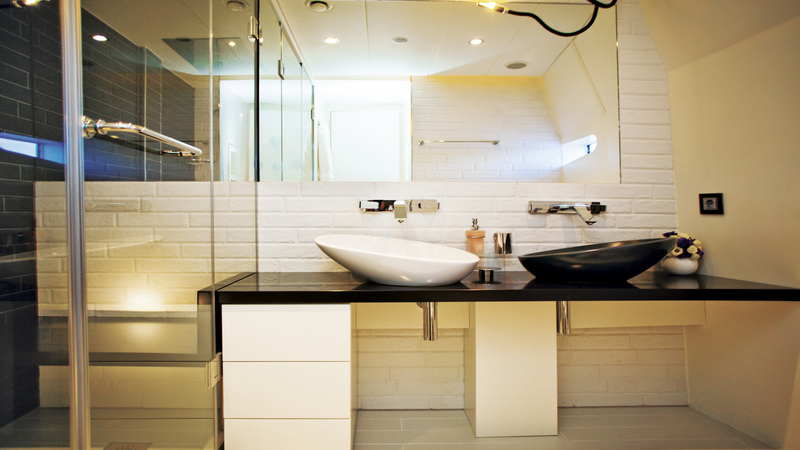 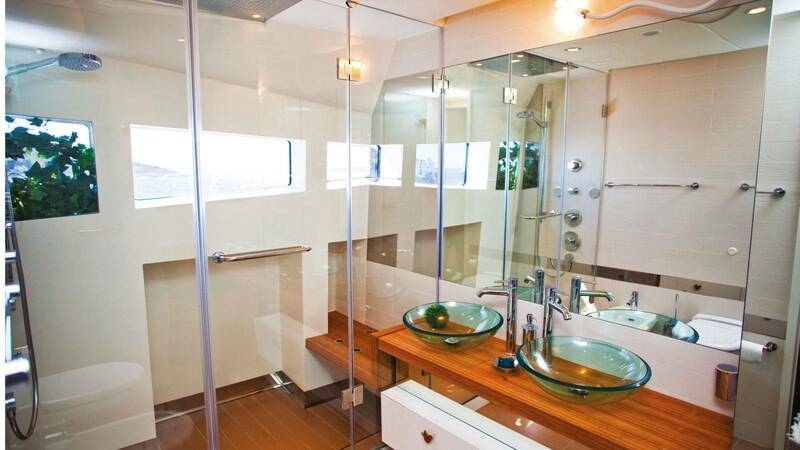 The lower deck hosts a beautiful spa centre with a gym, sauna and Hammam. 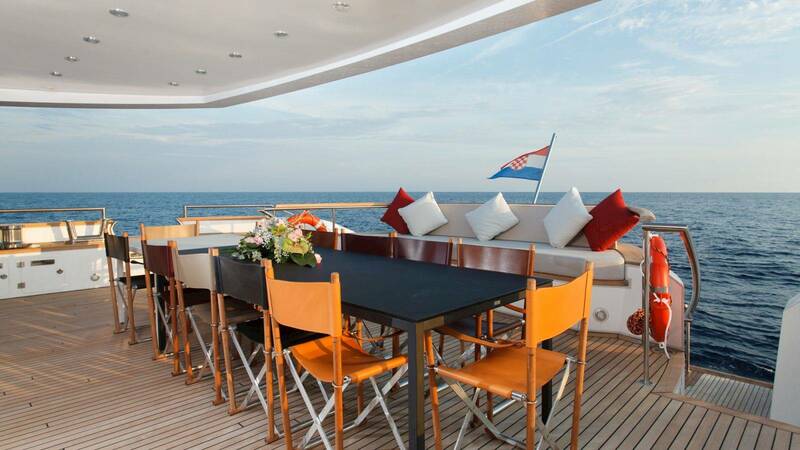 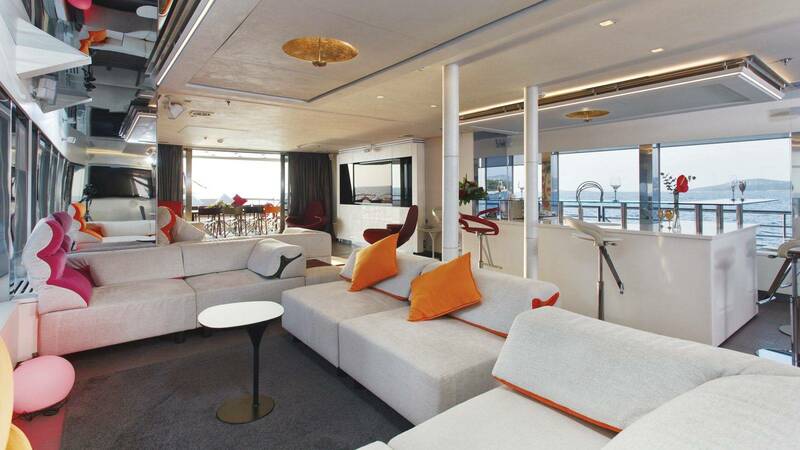 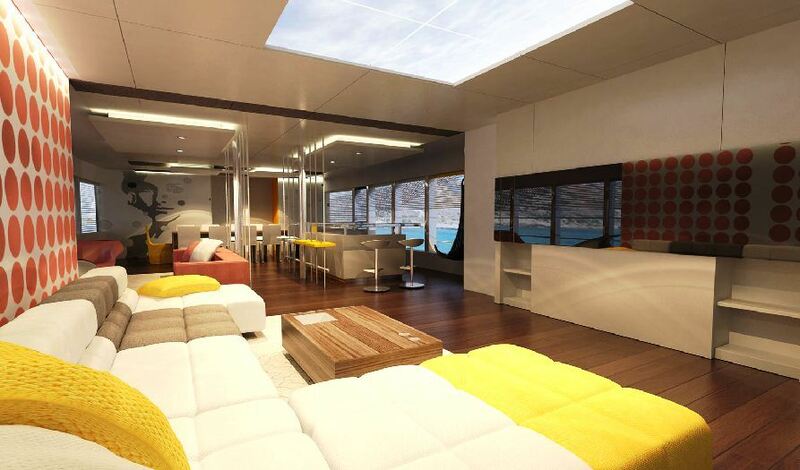 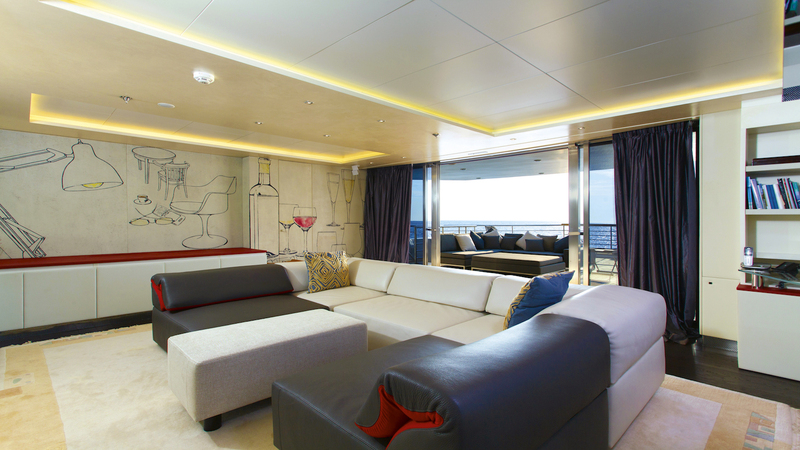 Aft deck is pefrect for alfresco dining, as it boats 47 sqm of space for socialising and entertaining. 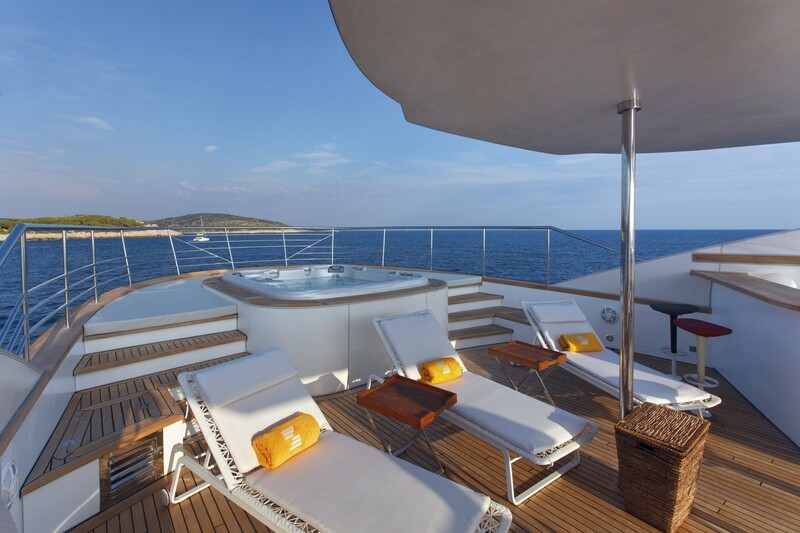 The delux Jacuzzi tub is on the sundeck, where the guests can spend sunning days and gazing at the stars and romantic moonlight at night. 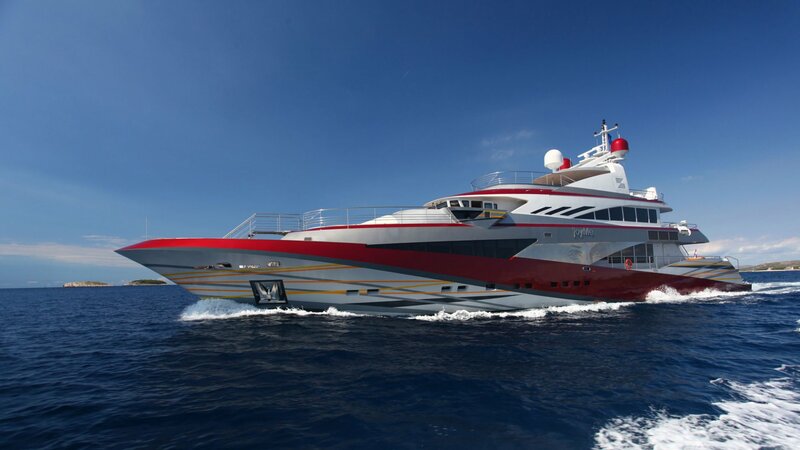 The exterior styling with a special paint scheme emphasizes the elegance of lines by visually lowering the profile and by bringing it closer to the water. 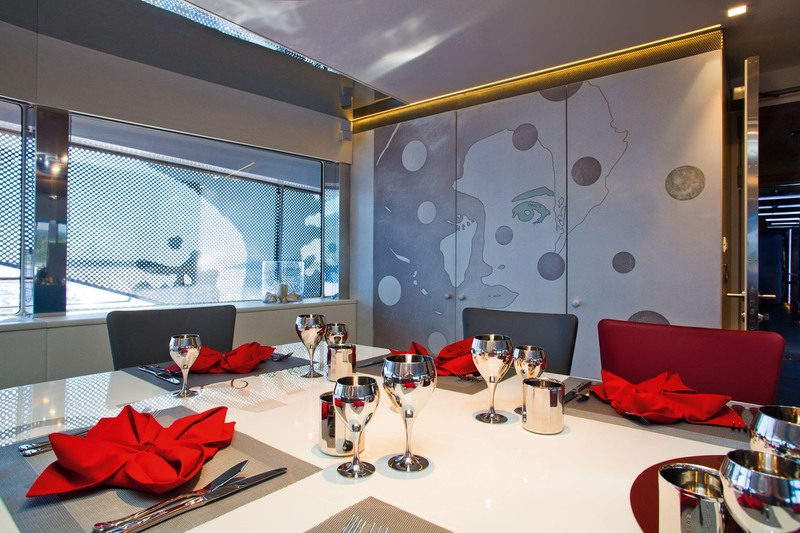 By accenting the exterior design with flowing lines, perforated textures and prints have been applied to highlight the length rather than the height; the proportions are more balanced and harmonious. 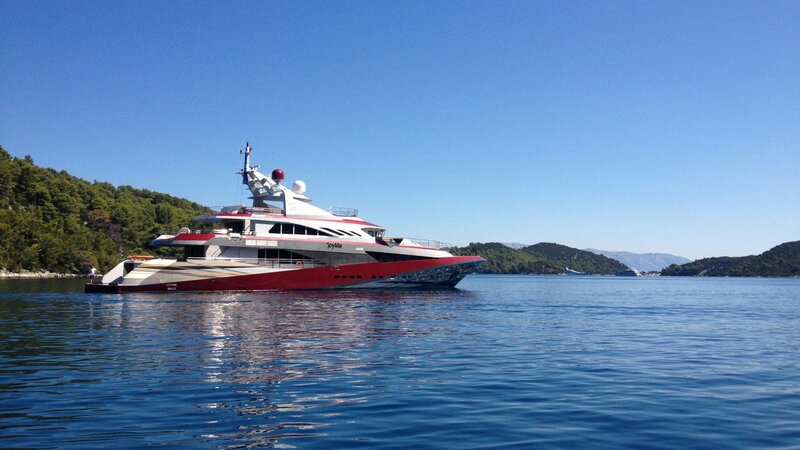 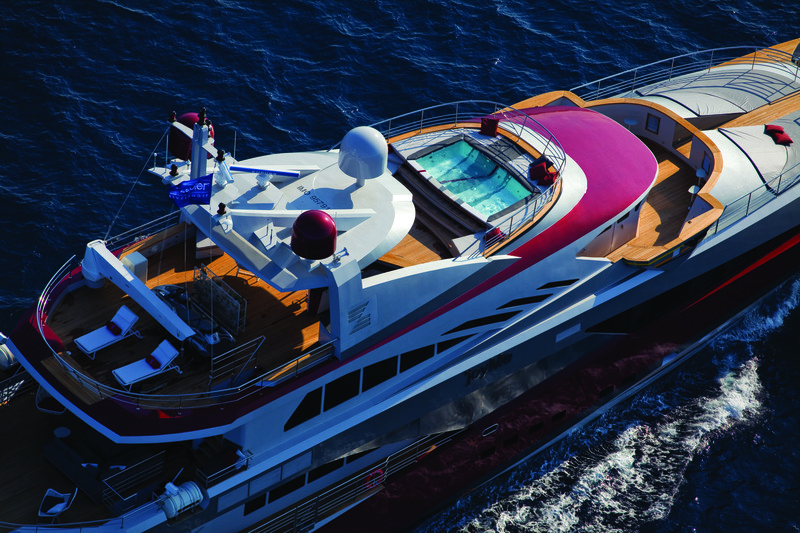 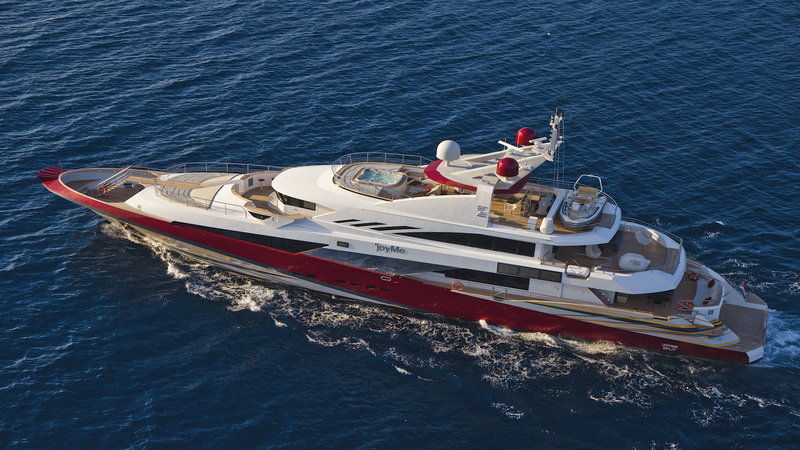 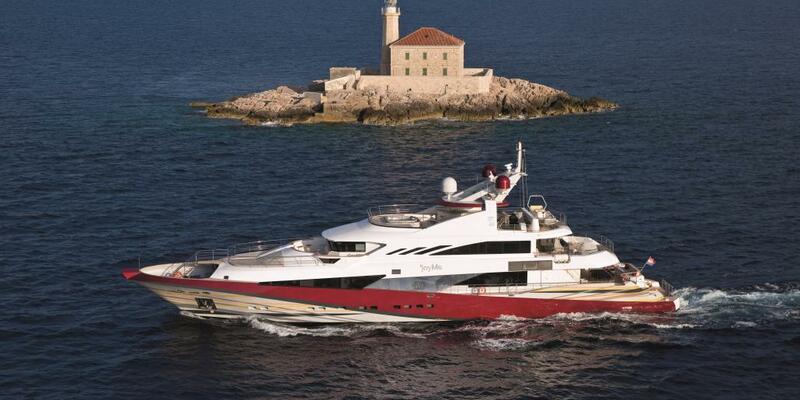 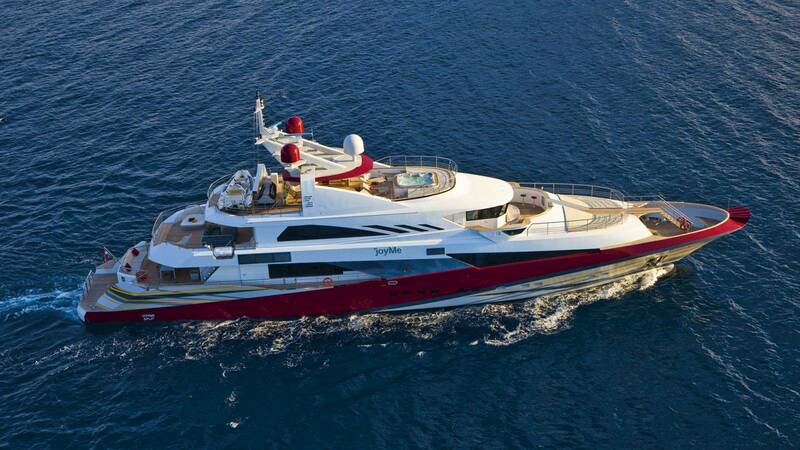 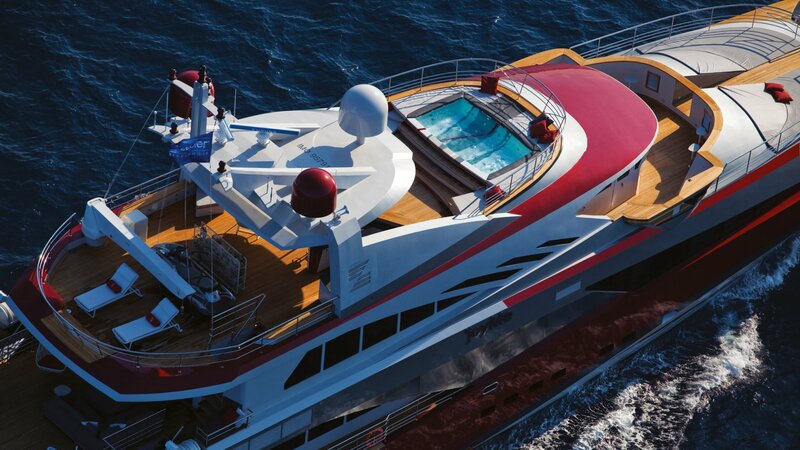 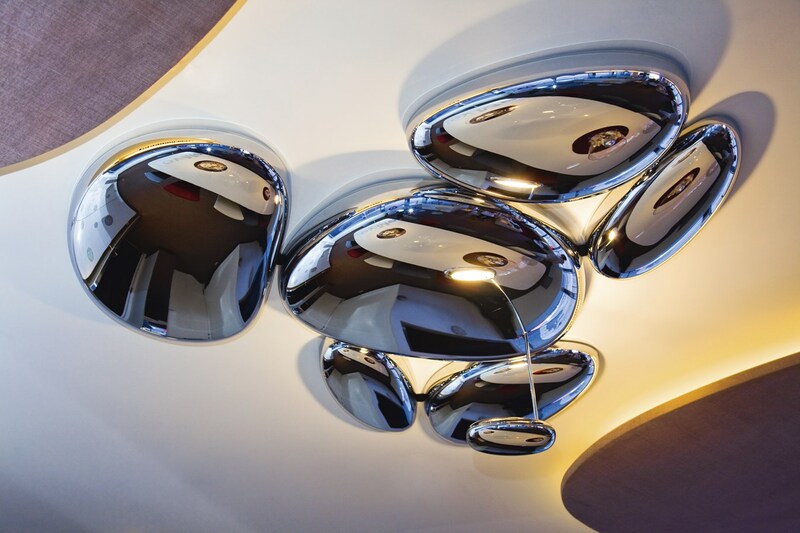 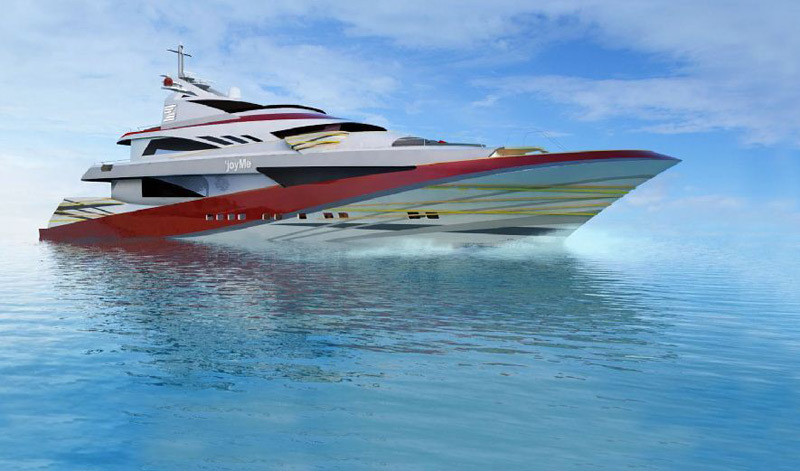 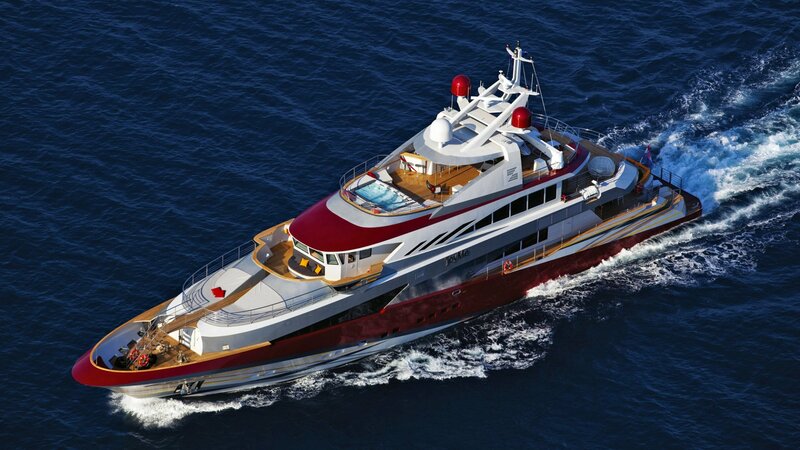 This beautiful vessel creates a dynamic visual impression which many modern yachts lose to maximize inner volume. 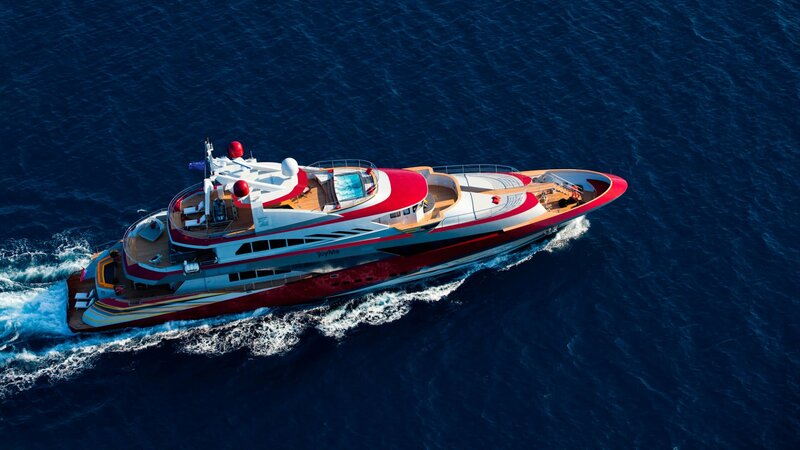 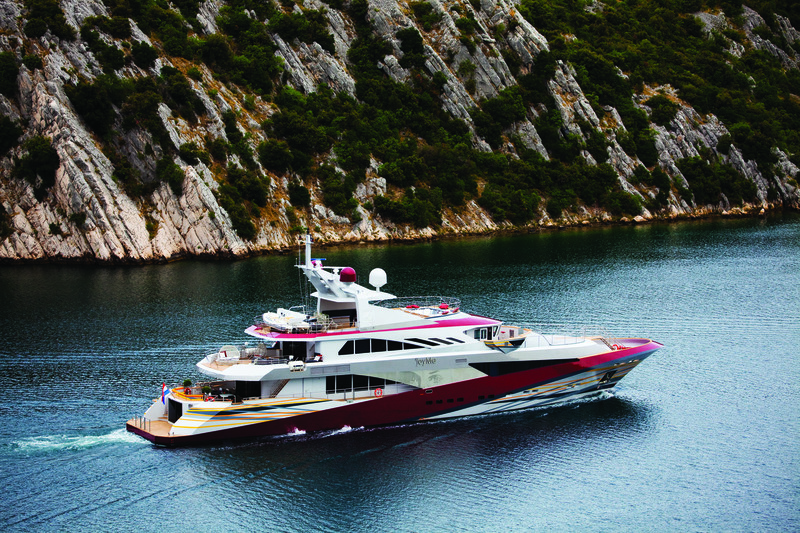 Run by twin Cummins KTA 38M1 diesel engines, 164´ luxury yacht Joy Me reaches a top speed of 15 knots and a 14-knot cruising speed. 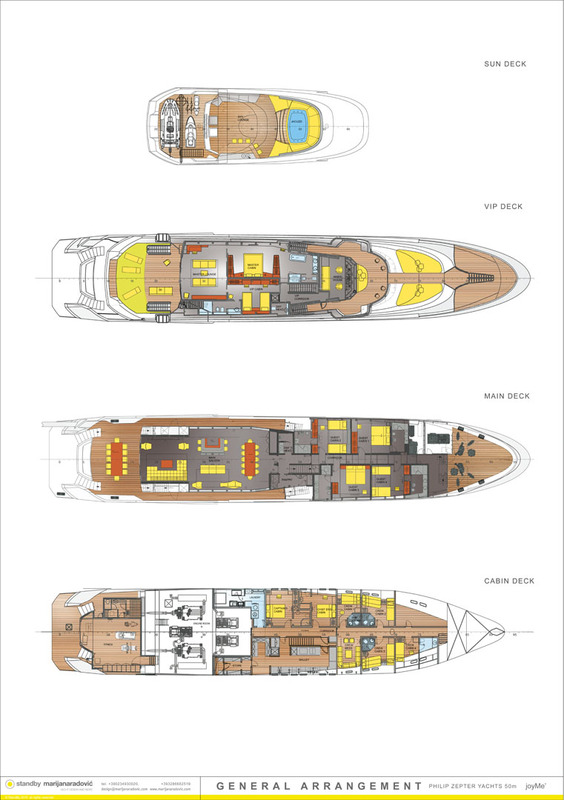 She has a steel hull and a steel/aluminum superstructure. 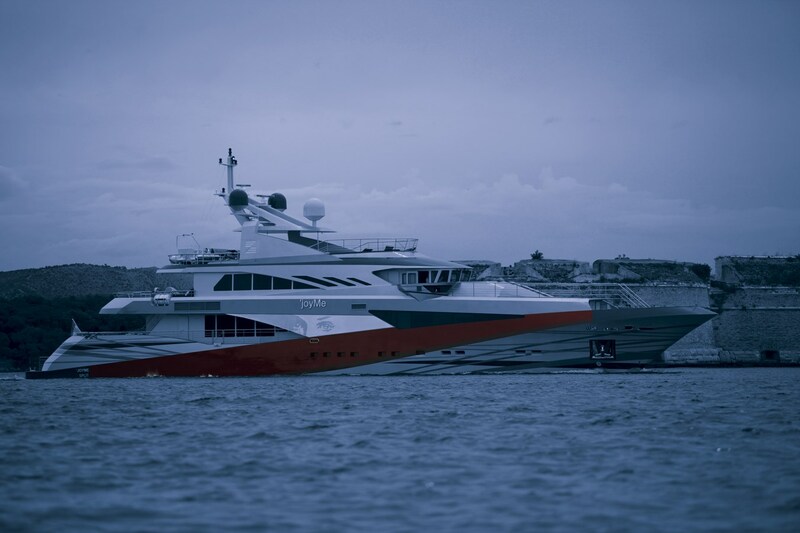 The beam is of 9.12m (29´92´´) and the draft of 2.30m (7´55´´). 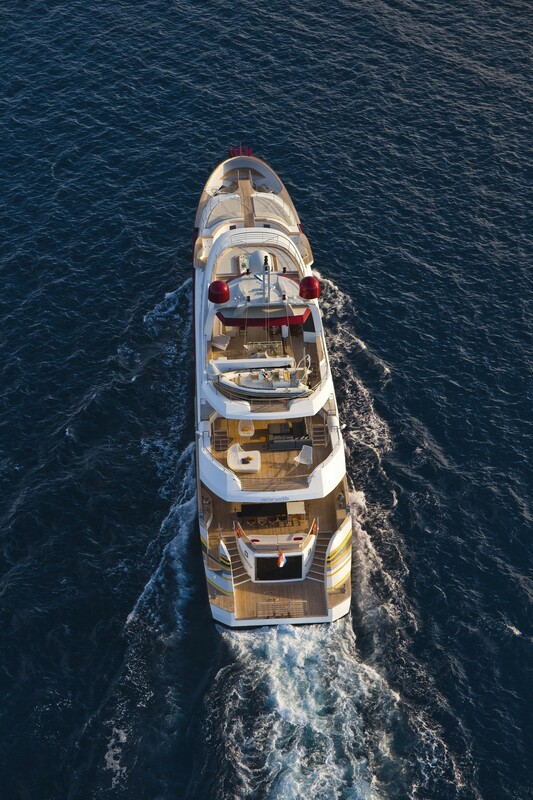 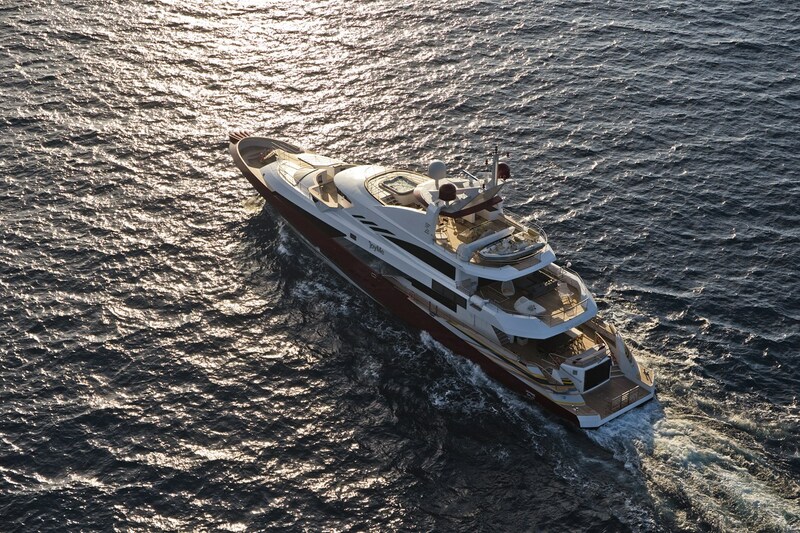 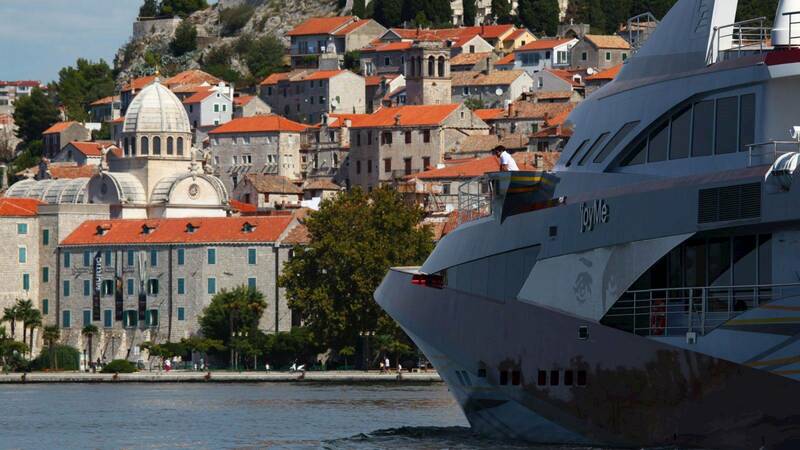 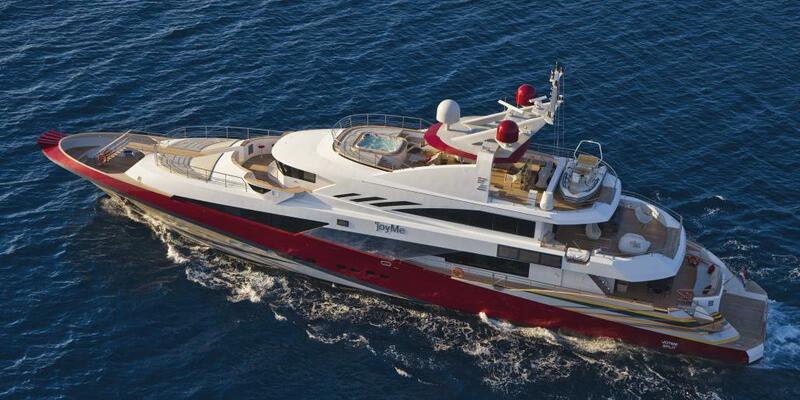 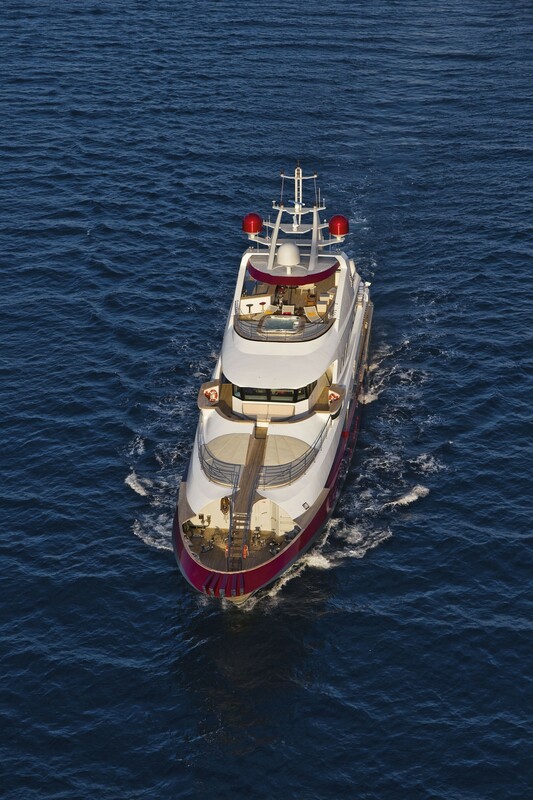 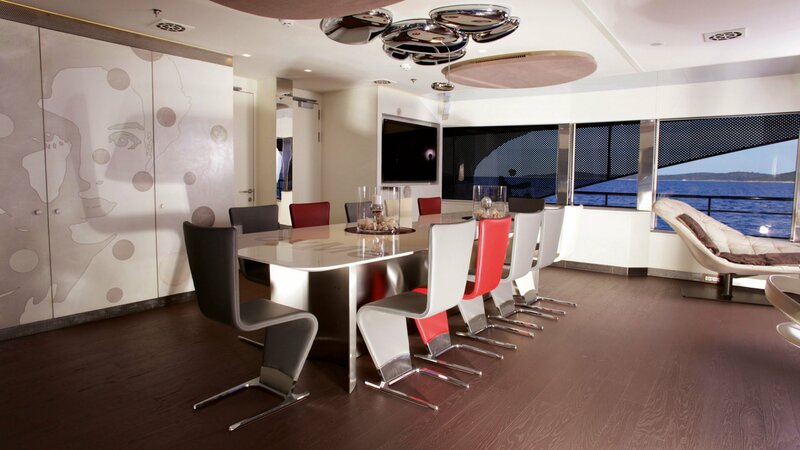 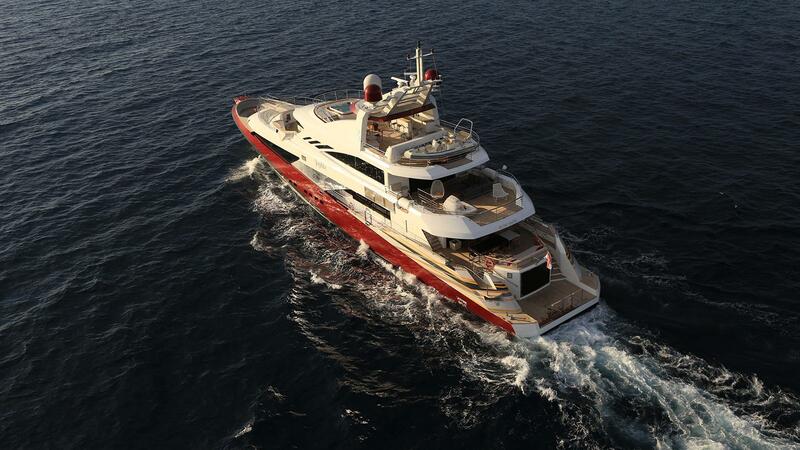 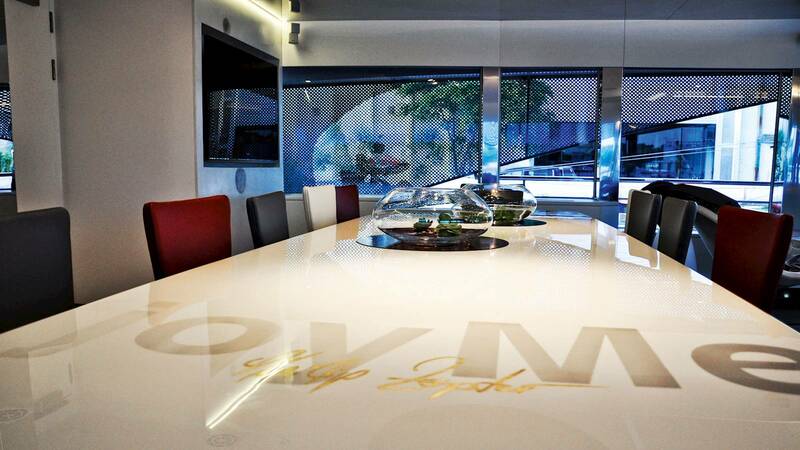 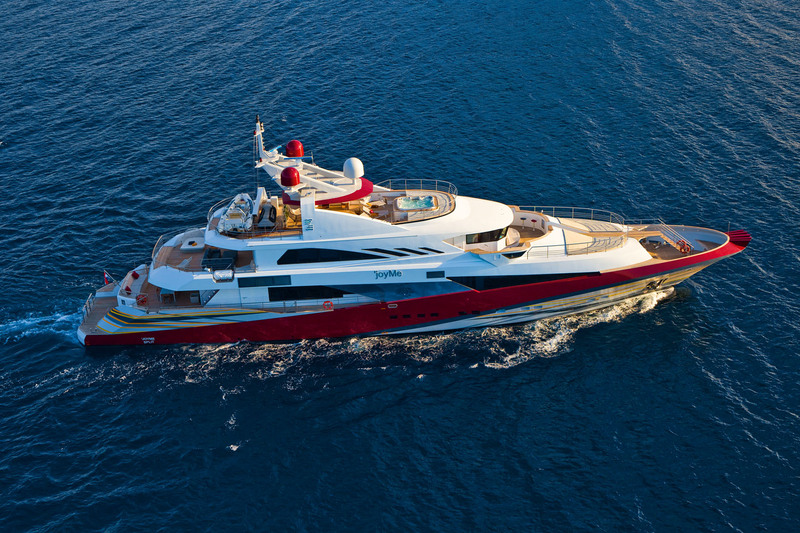 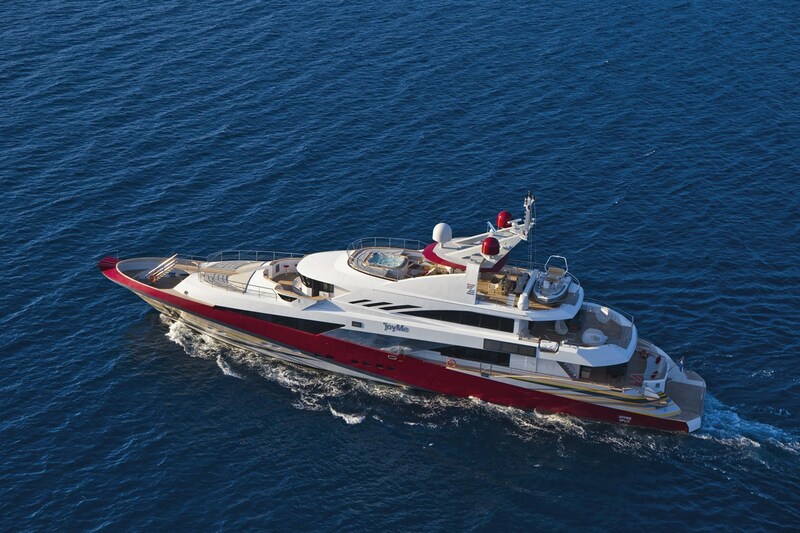 M/Y Joy Me is built to Bureau Veritas. 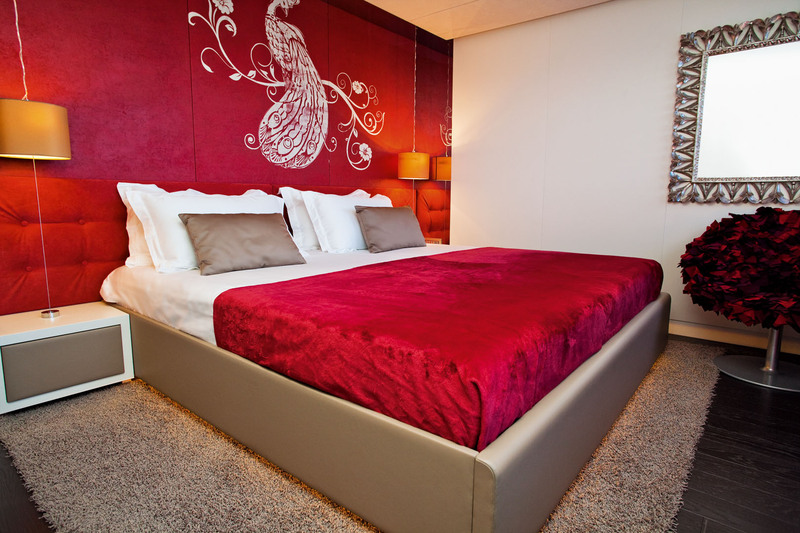 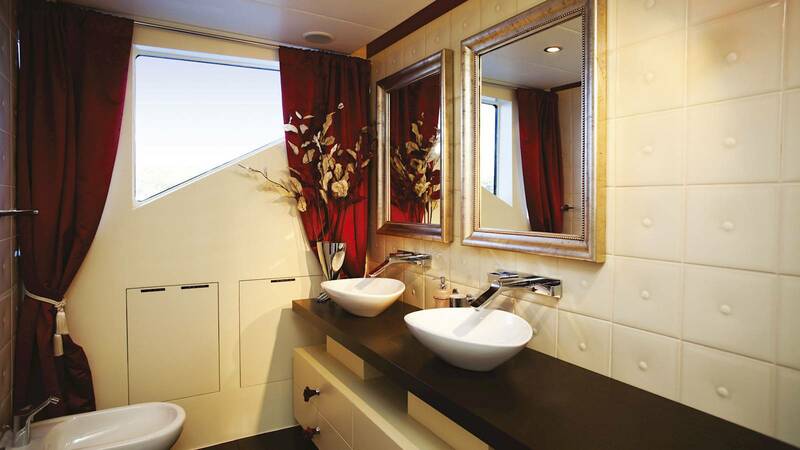 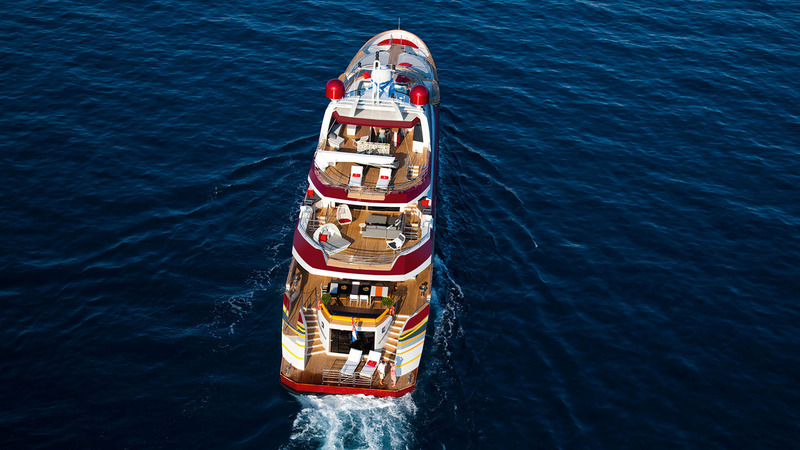 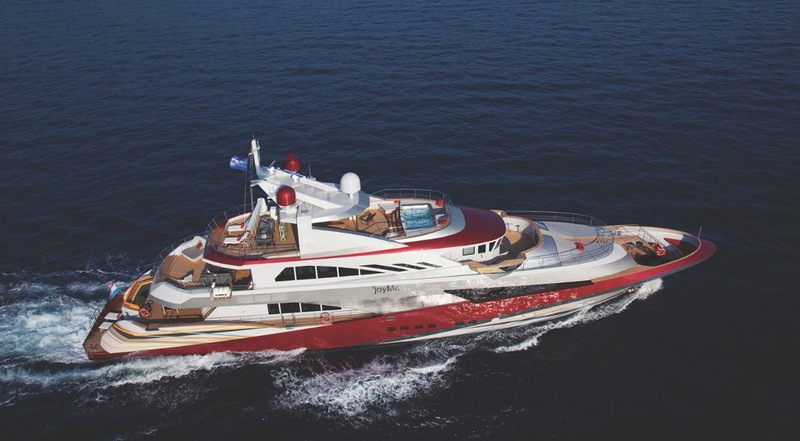 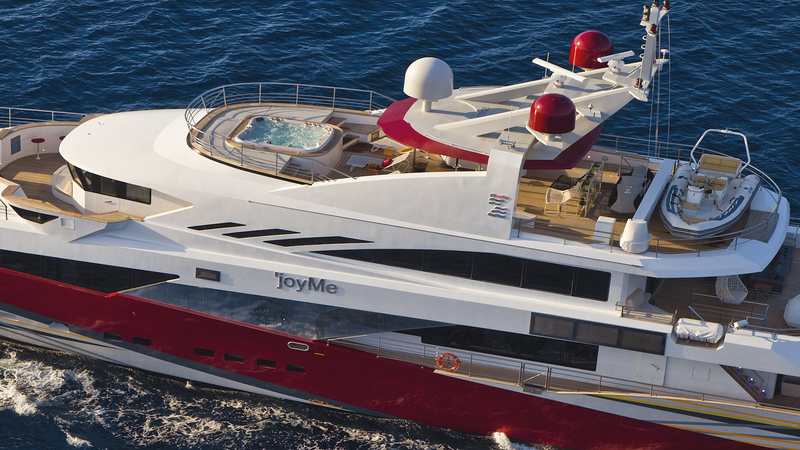 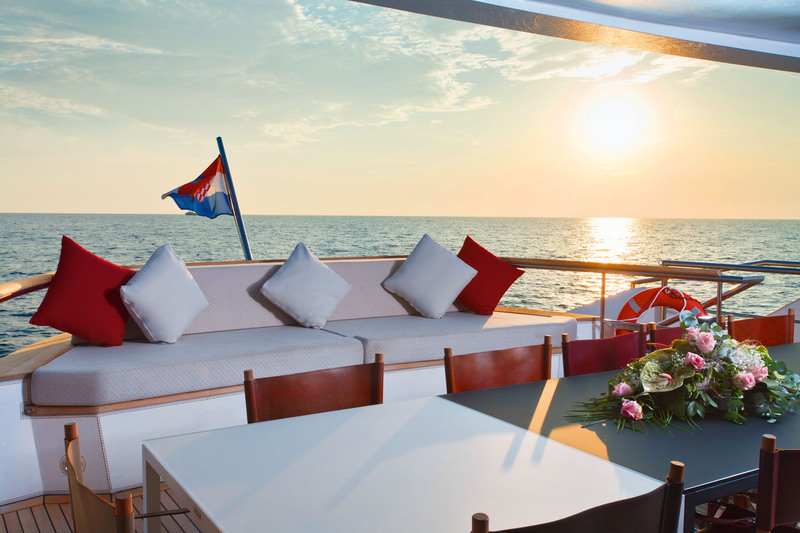 164´ luxury yacht Joy Me accommodates 12 guests in 6 beautiful cabins, including one master, one VIP, and four double cabins. 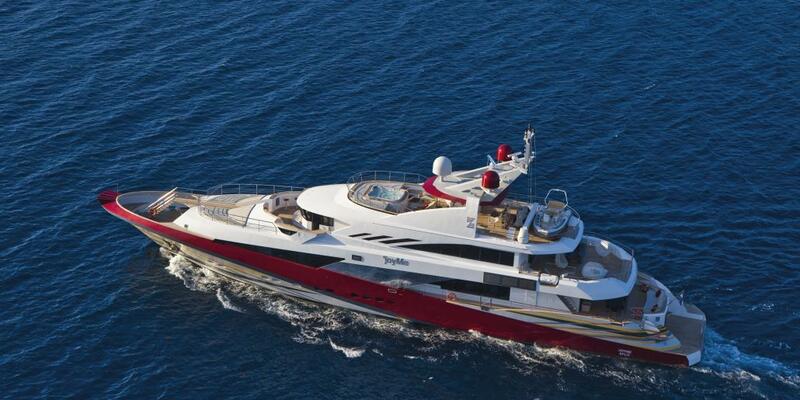 She has crew quarters for a friendly and professional crew of 12. 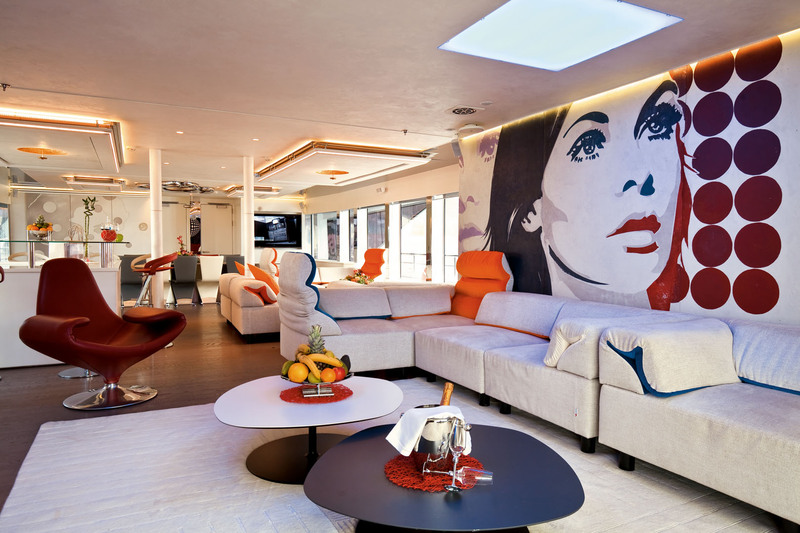 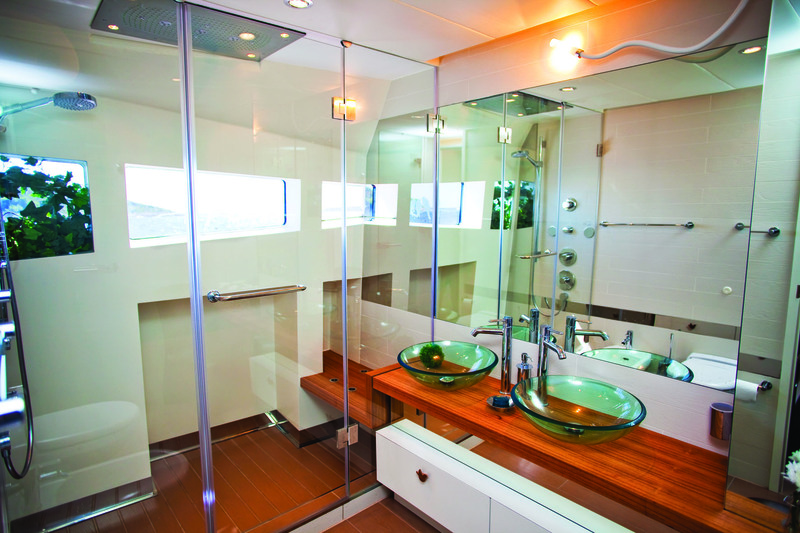 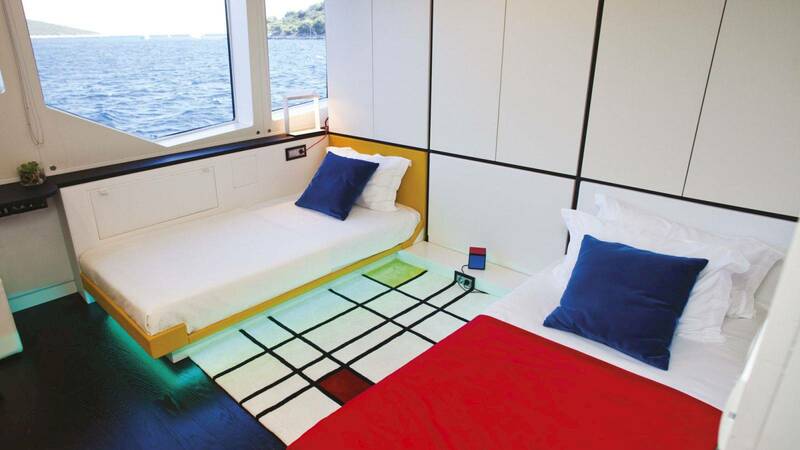 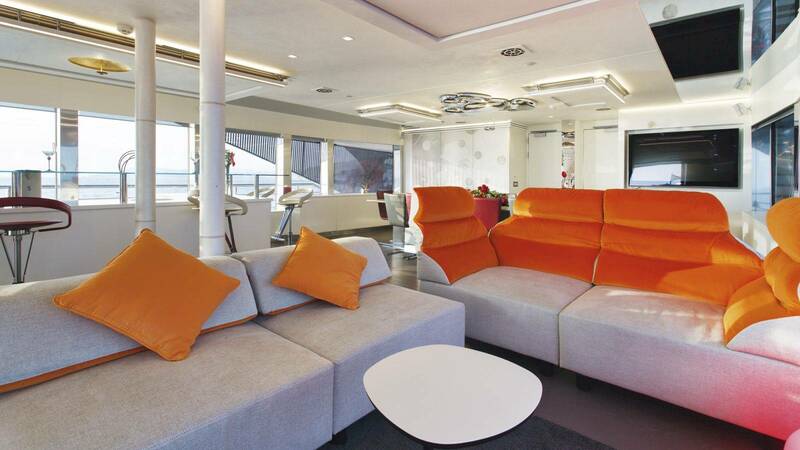 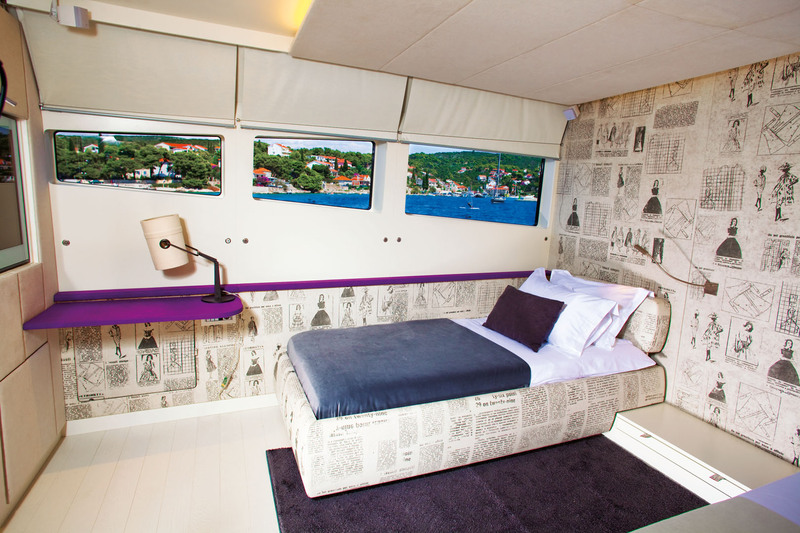 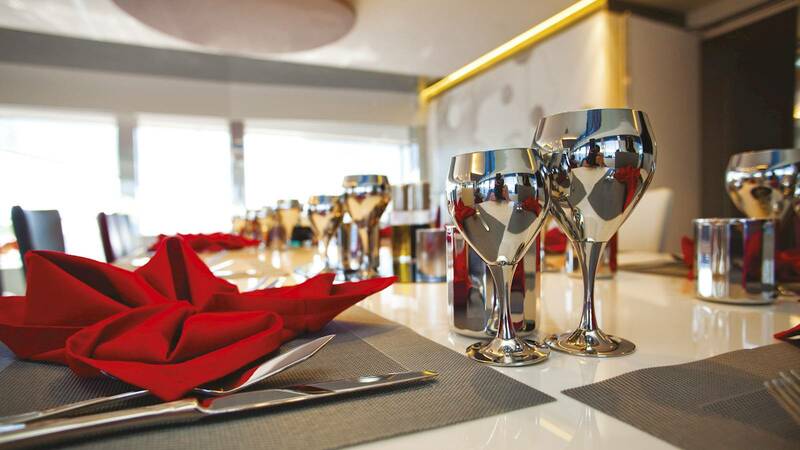 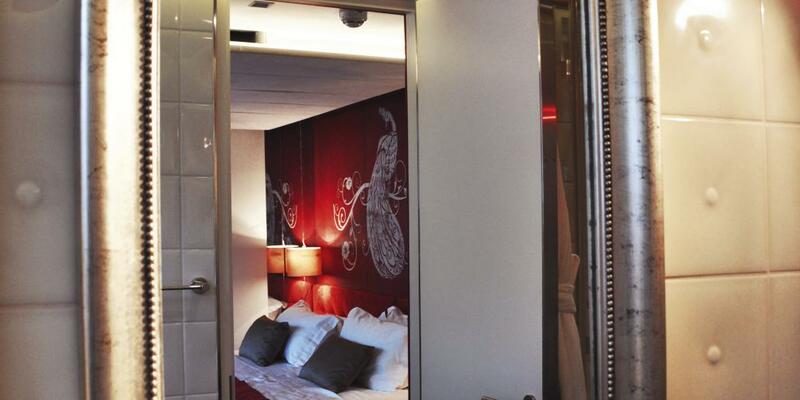 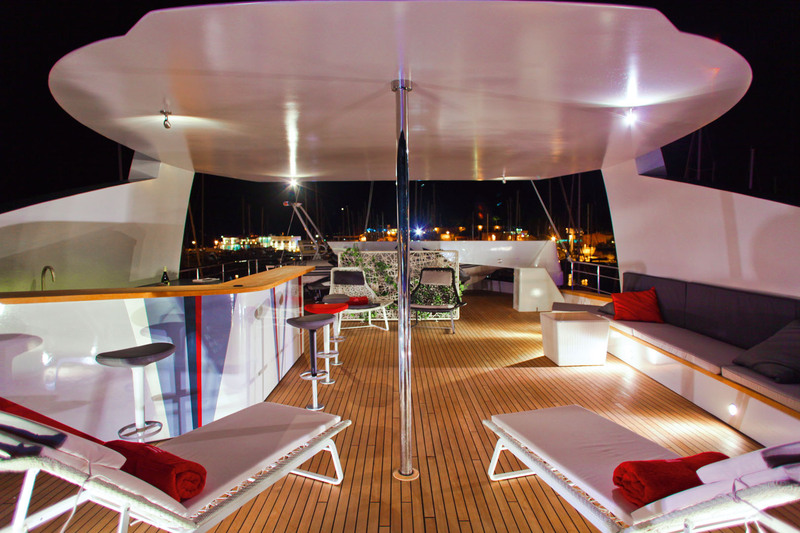 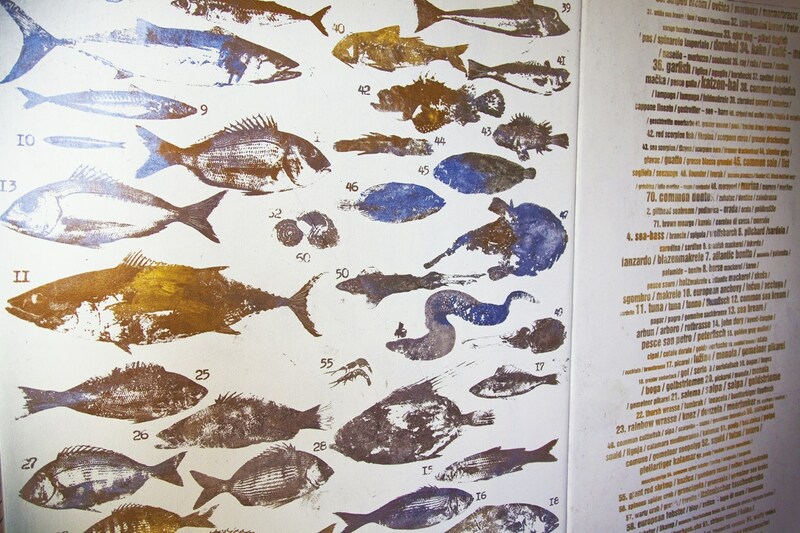 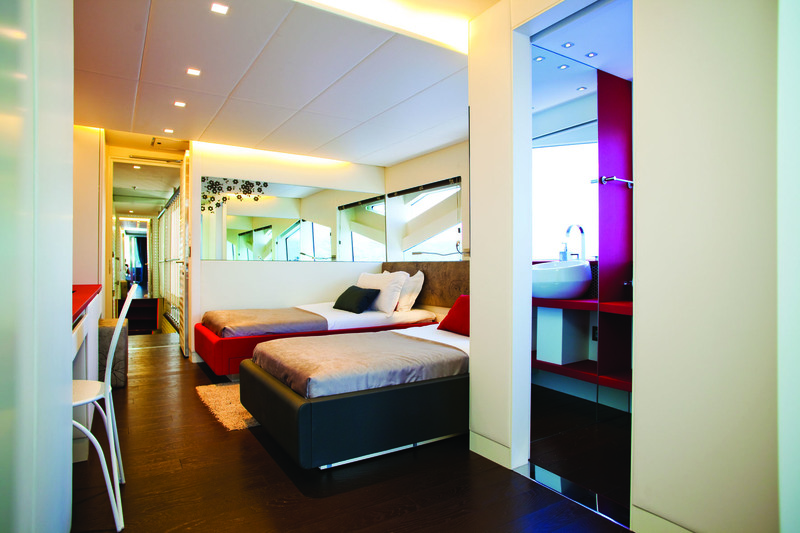 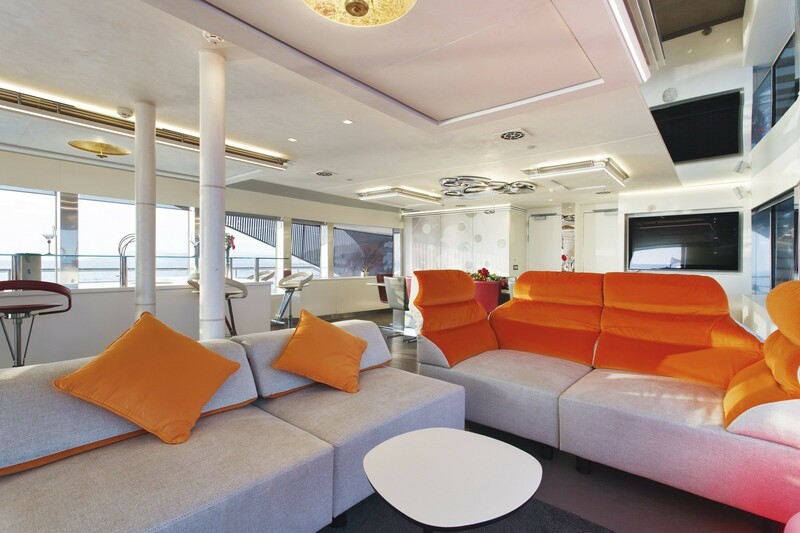 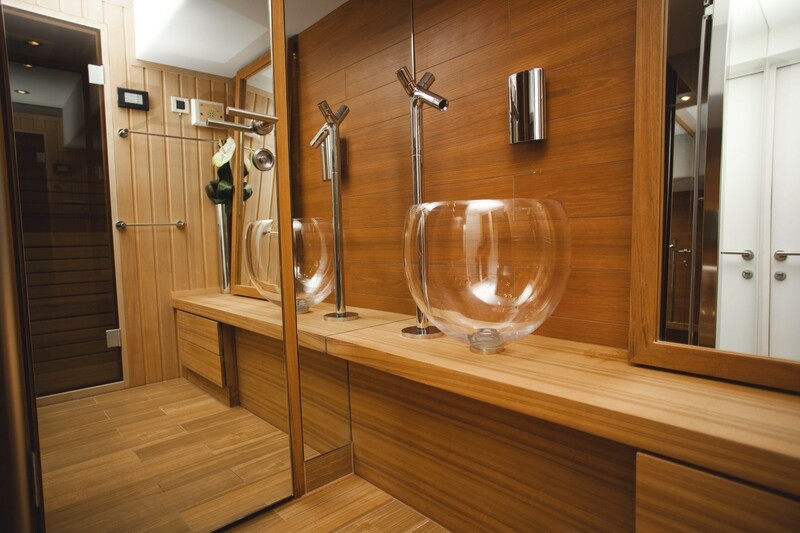 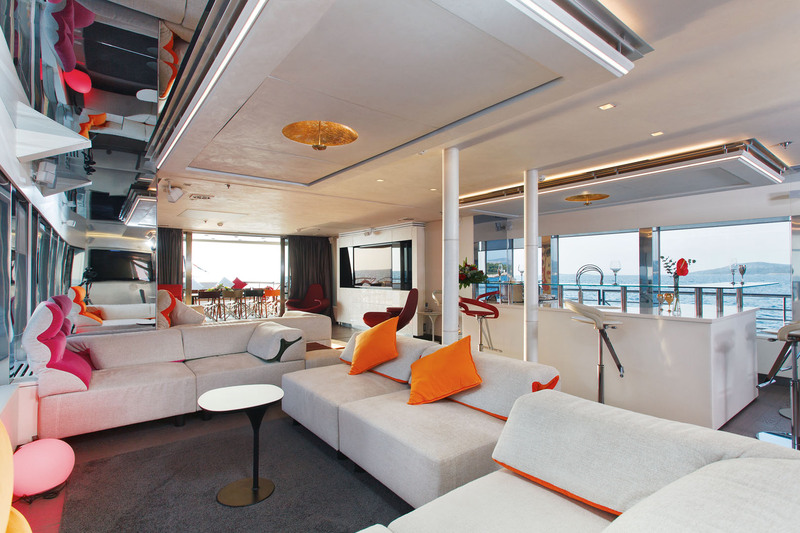 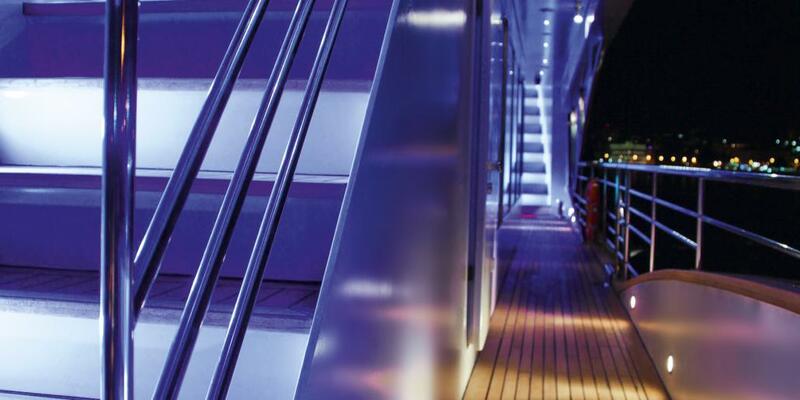 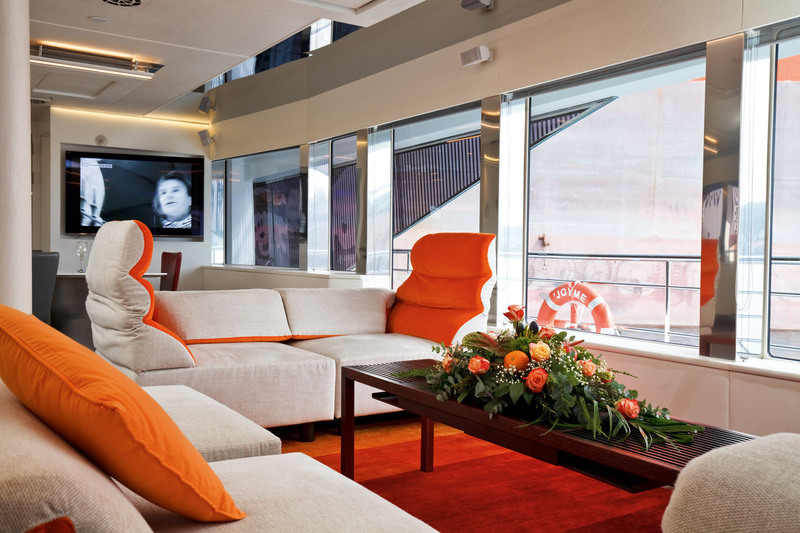 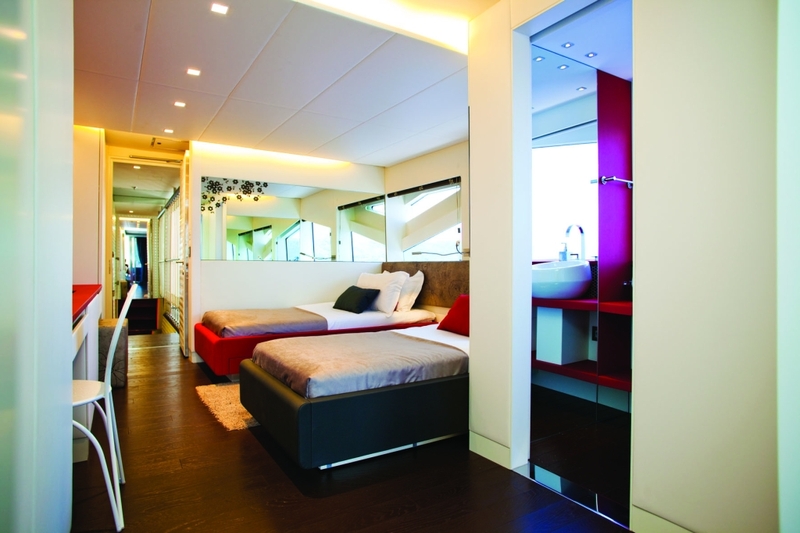 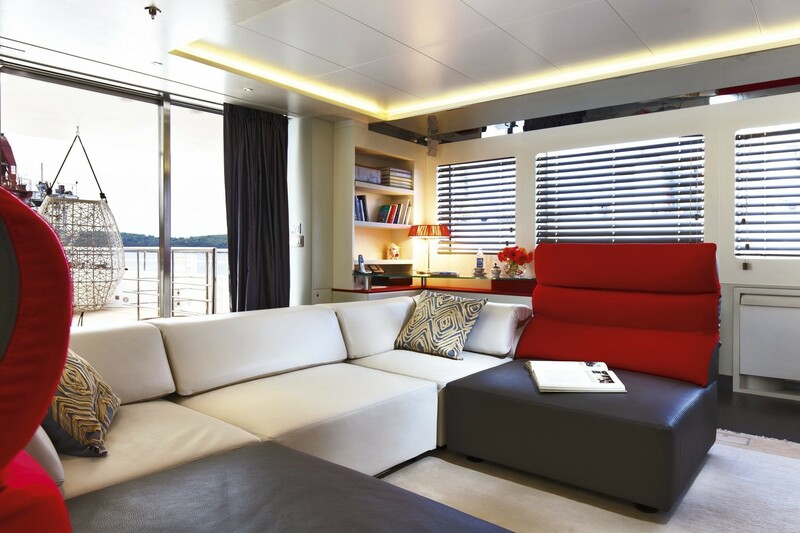 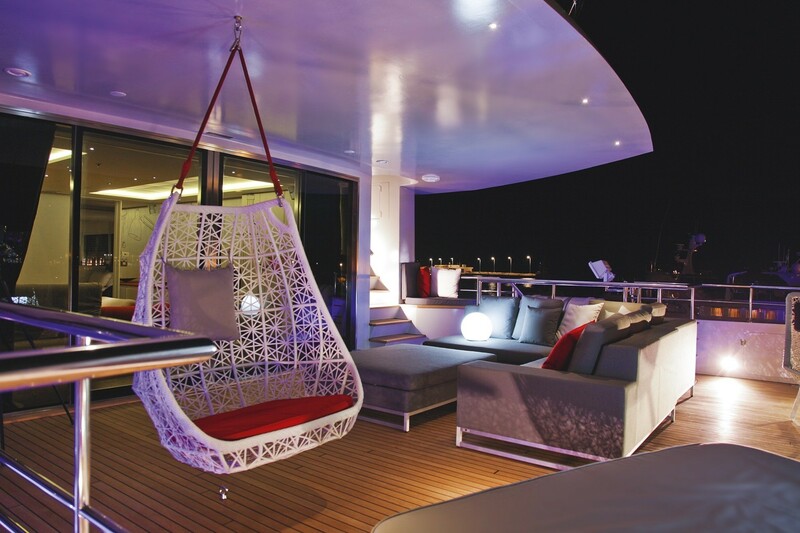 Each compartment of space within the yacht´s interior is treated as a separate entity with its own story and philosophy, benefitting from its own atmosphere, communicating different emotions and feelings to its guests. 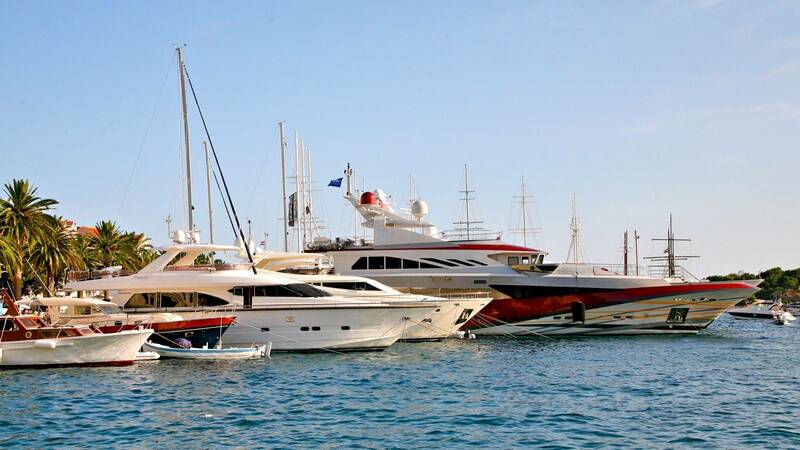 Tenders & Toys: ~6m Zodiac tender with Volvo 150HP jet drive ~Sea-doo Wake Pro 230 (3-seater, also designed for wakeboarding and waterskiing) ~Yamaha 3-person waverunner Waterskis (including for children) ~Wakeboard ~Inflatable towable toys (banana, donuts, seat) ~2 x GoCycle electric bikes ~2 x standup paddleboards ~Snorkelling equipment ~Rendezvous scuba diving can be arranged ~Additional toys can be rented locally upon request (including 9m shadow tender with a cabin, Seabobs, Jetlev & Flyboard, inflatable slide & trampoline). 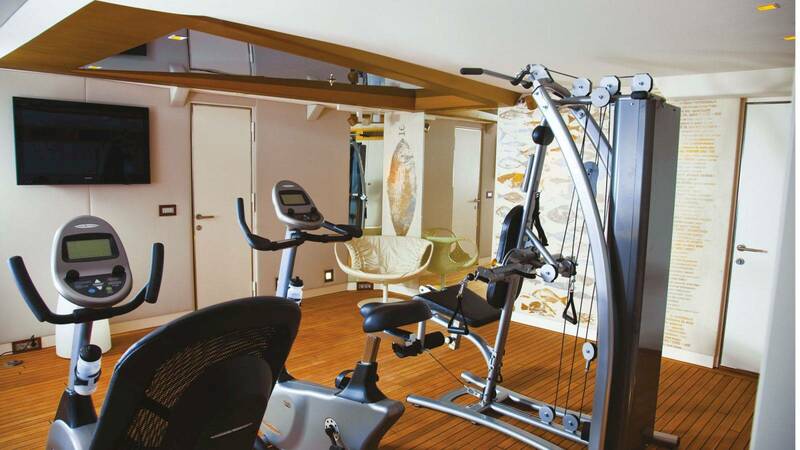 The Gym ~EOS Finish Sauna / Hammam SPA ~Vision Fitness Bike E3200 ~Vision Fitness Bike R2250 ~Vision Fitness Torus 408 ~Multi GYM ~Kettler Rivo P ~Orbitrek ~Set of weights 2 - 18 kg ~Bioptron Pro1-color therapy ~Plasma TV ~TV & HI-FI: TV Sony Bravia, Blu-Ray Disc-DVD Player, Receiver Sony, 5.1 BOSE system, Sat TV: Hot Bird, W2M, Astra.